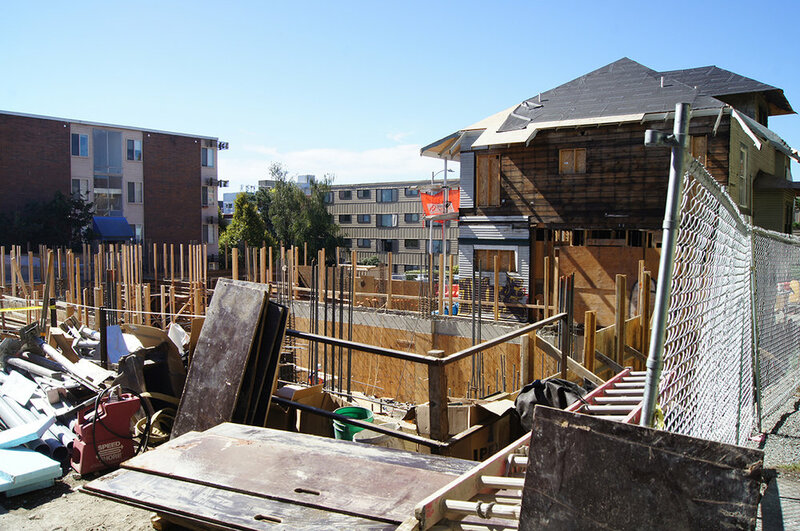 Schemata Workshop partnered with Seattle-based developer Barrientos on a new multi-family project in the University District, south of the Roosevelt Link Station. 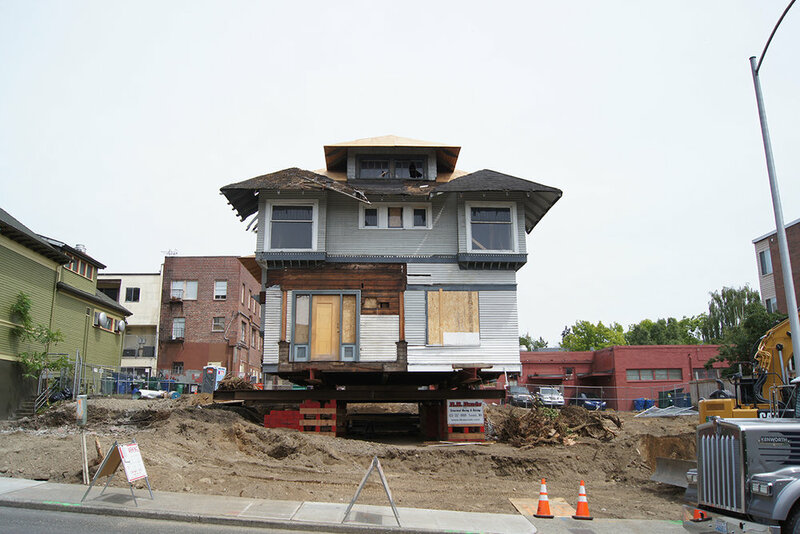 At the project's heart is the historic 1907 "Classic Box" house built as a rectory for the University Methodist Episcopal Church and known as the Parsonage. Schemata's design nestles the landmark home within an L-shaped block containing 84 units of student housing. The home is recast as amenity space for the new residents, while careful siting and landscaping establish the historic structure as the "gem" against the backdrop of the new buildings. The design also seeks to clarify the Parsonage's relationship to the quirky, historic church on the adjoining lot. The project reflects our vision of development: ecologically sustainable, economically practical, and sensitive to the scale and historic character of the local neighborhood. 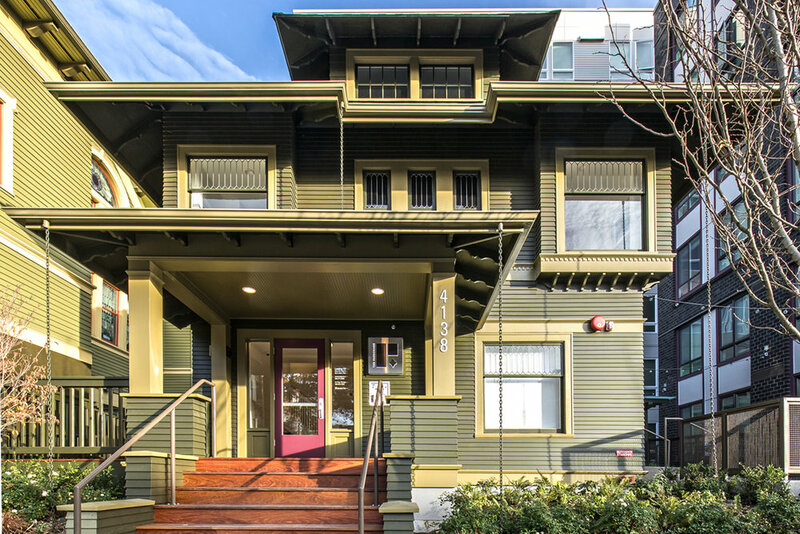 The new, seven-story apartment building will provide badly needed housing for the University District, while a historic structure will receive well-deserved rehabilitation and a renewed position as an architectural focal point within a unique Seattle block.